Now, as all true coffee fans know, it’s the acid that coffee contains that gives the drink those bright, vibrant flavors that we all love. That’s great, unless you are one of those folks who is afflicted with acid reflux or heartburn. You see, it’s the acid in coffee that causes these annoying problems that ruin your enjoyment of the drink. Thankfully, coffee manufacturers are aware of the issue and have started producing low acid coffee. Who knew? 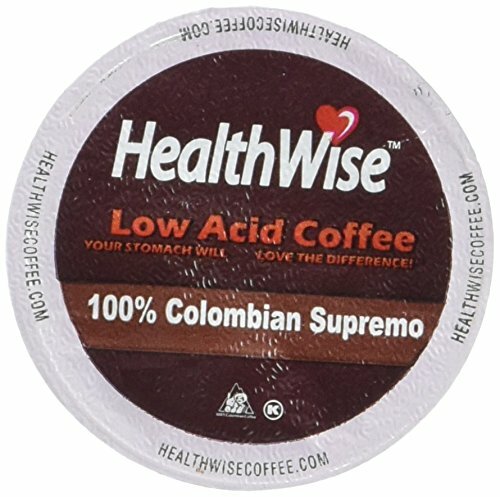 So, does low acid coffee mean that you can enjoy your morning Java without suffering the consequences for hours afterward? Or is low acid coffee an insipid, flat brew that is just a pale, flavorless imitation of the real thing? Here at Roasty, we felt it was our duty to research the matter and answer these questions on your behalf. Not only that, but we’ve also taken time out to track down the very best acid-free coffees on the market. No dishwater, flavorless beverages here my friend; only the best low acid brews that are packed with taste made it into our Super Seven! Did you know that your standard brew contains around 30 different acids? We thought not. Well, it does, including the same acids that you’ll find in vinegar and citrus fruits. So, where does coffee come on the scale? Well, your average cup of Joe comes in at around 5 on the pH scale, making it less acidic than fruit juice. And the acid in your stomach measures a big, fat 0. Although not everyone is adversely affected by the acids that some foods contain, if your digestive system is a tad on the delicate side, the effects of consuming acidic foods can be most unpleasant. 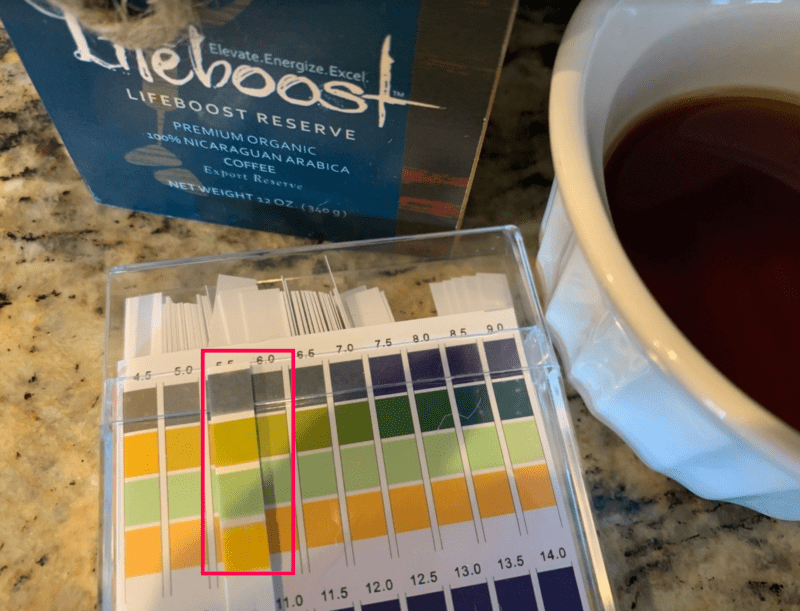 Now, to muddy the waters, when coffee experts talk about a coffee’s “acidity,” they are actually referring to the flavor notes of the brew, not the acid content. A coffee’s acidity is generally used as a term that indicates the quality of the bean. For example, beans grown at high altitude are often described as being acidic due to the bright, vibrant flavor notes they give. So, the takeaway here is that you shouldn’t automatically avoid a brand of coffee merely because the word “acidity” is mentioned in its profile. Dark roasts are generally less acidic because of their flavor profile. However, they are higher in quinic acid, which can give you that nasty, sour feeling in your stomach. If you’re susceptible to acid reflux, heartburn, and other digestive issues that are triggered by drinking coffee, you must try one of these delicious low acid coffees. In fact, coffee fans who find the acidic flavors of some coffees too bitter and unpleasant have begun routinely drinking low acid coffee. The acid content of these brews is minimal, and the other flavors of the bean are more refined and “brighter.” In particular, notes such as fruit, nuts, and chocolate are said to be much more readily detectable in low acid coffees. So, here are our seven favorite low acid coffees for you to try. Our top pick for low acid coffee is Lifeboost Coffee. The secret behind this low acid bean is that nothing is added and nothing is taken away. It’s purely due its location and the way it is grown. These Nicaraguan beans are non GMO, fair trade, specialty bean, USDA certified organic, certified Kosher, single origin (from a single farm), and shade grown at an elevation above 5700 ft, which is ironic since most low acid coffee is grown at lower elevations. Shade grown coffee acquires complex, desirable flavors as the coffee cherry has time to properly mature. The fruit’s natural sugars burst through and add a rich flavor to the final product. Less than 2% of the world’s coffee is shade grown and Lifeboost is at the top of that 2%. Farmers handpick only the best beans and each bean is not allowed to be picked until it is completely mature. 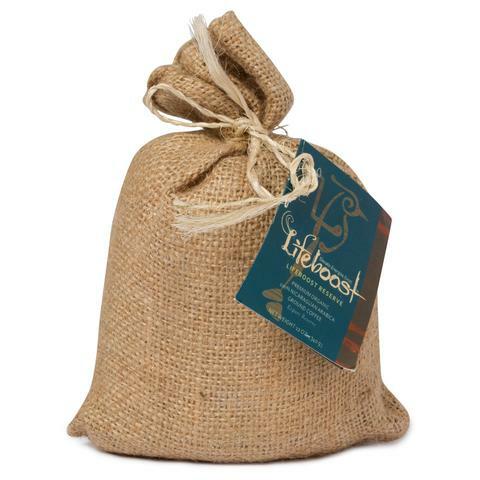 Lifeboost coffee beans are then sun dried to the perfect humidity of 11.5% to ensure there is no mold. Finally the coffee is slow roasted giving you a smooth, chocolatey caramel flavor that is ultra low acid with no bitter aftertaste. The downside? They are a bit pricey. But, high quality often comes with a price. Save 40% LifeBoost is on the high end, but you can save 40% off your first order, simply click this link to get the deal. Puroast prepare their low-acid coffee by slowly roasting their Venezuelan beans in a wood fire. The resulting coffee has 70% less acidity compared to regular coffee produced by other leading brands. 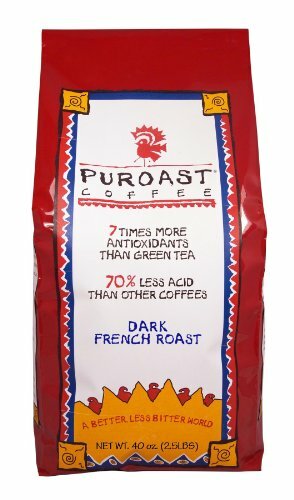 Also, Puroast coffee contains seven times more antioxidants than green tea and five times more than other leading coffee brands. Only 100% premium coffee is used to create this superb coffee; no calories, no gluten, no additives, and it’s certified kosher too. And the flavor? Well, it’s a smooth, fragrant dark roast. Delicious. Republika uses 100% Arabica organic beans that are air-roasted to create their low acid coffee. The coffee beans are sourced from non-GMO Rainforest Verified, Fairtrade plantations. The coffee is full of flavor, well-balanced, and non-bitter. With 80% of the acidity having been removed from the coffee beans, it’s also gentle on your stomach and your teeth enamel. Republika’s offering is excellent for cold brewing, as well as for making regular hot brew Java. So, if you want to enjoy a clean brew with a superb flavor that won’t upset your digestion or damage your teeth, this one’s for you. Java Planet is a family-owned producer who uses only GMO-free, USDA-certified organic coffee. Gourmet Columbian Arabica beans are used to make this low acid ground coffee. The beans are roasted in small batches for optimum flavor retention and freshness. Speaking of flavor, you can expect to enjoy a big, balanced taste with full body and very mild acidity with this brew. Delicious! Lucy Jo’s Coffee Roastery is a family-run coffee roastery that’s located in New York. The organic Arabica coffee beans used to create this ground blend are sourced from Indonesia and Brazil. 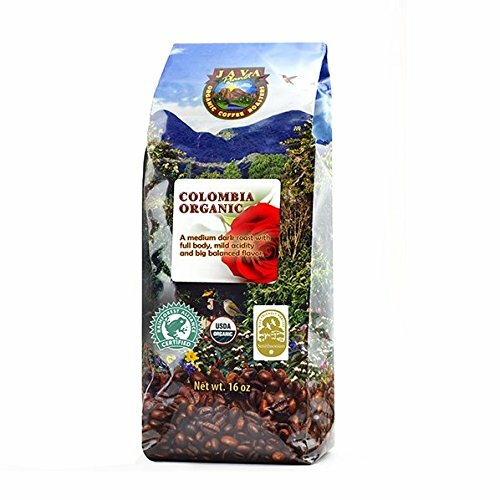 A combination of coffee beans that are naturally low in acid and a slow roasting process produces a delicious coffee with a smooth finish and sweet, earthy flavors, and subtle overtones of spice. If you own a Keurig K-Cup coffee making machine, you’ll be pleased to learn that you don’t have to miss out on the low acid coffee revolution! Keurig produces this certified, high-grade coffee from Colombian Supremo Arabica coffee beans, using an FDA-approved roasting process. 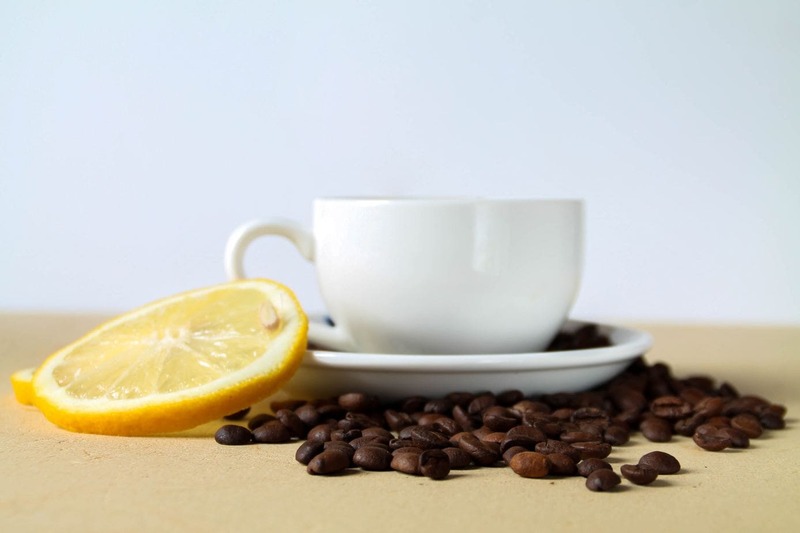 The result is a low acid coffee that’s free from harshness and bitterness while retaining essential vitamins, minerals, and antioxidants. Also, the coffee is kosher-certified, and it’s produced in a nut-free facility. These K-Cup coffee capsules can be used with any Keurig 2.0 brewing system. 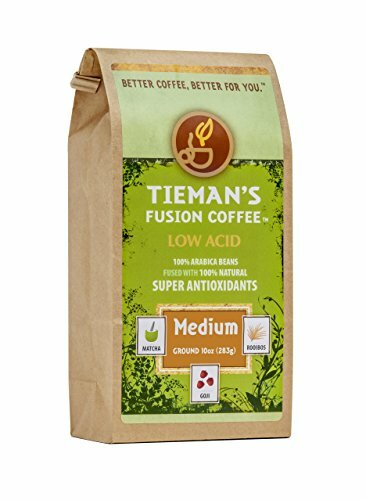 Tieman’s Fusion low acid ground coffee is created from 100% Arabica beans sourced from South and Central America. The fusion part in the coffee’s moniker refers to the addition of Rooibos red tea, goji berry, and Matcha green tea, rendering the finished product near neutral pH and therefore very low in acid. Also, the coffee contains five times your daily requirement of antioxidants. The Matcha green tea burns stored fat as it creates energy, so you get to enjoy the caffeine boost without the jitters and the dodgy stomach, and you might lose a few inches off your waistline too. The flavor you can expect is ultra-smooth, and this coffee makes a fabulous French press brew. There are two primary types of low acid coffee: treated and inadvertent. Treated low acid coffee refers to coffee that’s produced using special processing techniques to deliberately produce low acid results. For example, Brazilian coffee that’s roasted using a very slow or interrupted roasting process will be less acidic. Also, steaming the beans to get rid of their waxy outer coating before roasting has a similar effect. Inadvertent low acid coffee refers to coffees that are naturally low in acid. As a rule, coffee that’s grown at low elevations tends to be low in acid. The soil in coffee producing nations such as Brazil, Sumatra, Peru, Guatemala, and Mexico naturally yields beans with low acid content. It’s also possible to reduce the acid content of coffee by mixing the grounds with a stomach-soothing powder. Alkalizing products like this are effective in reducing the acidity of the brew, but they do interfere with the flavor. The color of the roast can heavily influence the coffee’s acidity. As a rule, dark roasts tend to be much less acidic than lighter ones. Also, drying the beans whole, especially while still in the pulp helps to minimize acidity. Arabica beans contain considerably less acid than Robusta beans. Therefore, choosing a 100% Arabica, single source coffee bean that’s grown on a low-elevation Brazilian plantation, dried whole, and dark roasted should, in theory, give you a brew that’s very low in acid. The brewing method and temperature you use to create your brew will heavily influence the acidity of the finished beverage. The most effective brewing method for producing low acid coffee is a slow-steeped cold brew. In fact, cold brew coffee is around 70% less acidic than a regular cup of hot coffee made from the same beans. You can make cold brew coffee in a French press; check out this Roasty article to find out how to do it. Now, that’s all very well, but you’re not going to want a chilled brew when the snow’s falling, and it’s sub-zero outside. Don’t despair! By avoiding a fine grind, you can still brew a hot cup of Joe that’s lower in acid. For example, using a French press with coarsely ground beans will produce a brew that’s relatively low in acid. That’s because the more coarsely ground the beans, the less acid they’ll secrete into the water. If you like milk or cream in your coffee, that’s a great way of diluting the acidity of your drink. Why? Well, the calcium contained in dairy has powerful antacid qualities. If you take your coffee black, you could try adding a flavorless calcium powder to your brew to neutralize the acid content. So, even if your digestion is a delicate flower, you can still enjoy great coffee without sacrificing quality or flavor. Order yourself a low acid brand of coffee (like those we’ve reviewed for you), and focus on cold brewing or using your French press with a coarse grind to maximize the benefits of this specialty coffee. You can choose whole beans and make your grind yourself, buy pre-ground coffee, or use coffee pods if you have a Keurig machine. So, there’s something for everyone. Look forward to enjoying a flavorsome cup of Joe. Without an antacid chaser! Check out this list of every type of coffee that exists so you can find a new type of coffee to enjoy whenever you are ready to try something new. Trying to navigate the terminology of sustainable trade can be difficult. We all want to be conscious of where our coffee is coming from, but with all the labels on everything, it can get overwhelming. In our article Fair trade vs direct trade, we explain the differences and implications of these two common terms. Why settle for good coffee when it could be great? All you need are the best coffee beans. Finding them is pretty easy, if you know what to look for.